GW is home to one of the oldest and most prestigious forensic sciences programs in the country. Located near the U.S. Capitol and in the heart of the national security hub, students are in close proximity to the greatest concentration of federal crime labs and investigatory agencies in the country. These facilities provide unique access to forensic sciences experts, in addition to internship and job opportunities in government and the private sector. 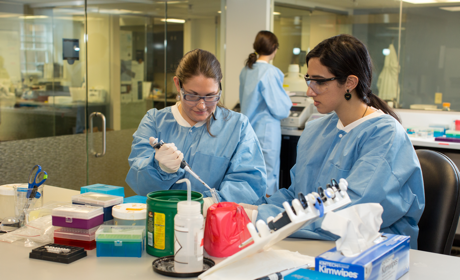 The facilities on Mount Vernon Campus include a modern forensic DNA laboratory and a research mass spectrometry laboratory. Also, Eckles Library houses forensic literature for the university. Mount Vernon Campus is the perfect place for students to immerse themselves in forensic science.